Let your winning dog show a better body of Fitness “The problem Solver”. Bowen Therapy is ideal for sports related injuries and preventative body maintenance. Bodywork Therapy addresses physical conditions, emotional and encourages musculo-skeletal rebalancing. As part of both yours and your pets integrative health plan. Regular treatments can help enhance your dogs performance since the best protection is prevention. Overcompensation, bad postural alignment and the body’s tendency to hold on to old injuries, will result in an unbalanced body. Many injuries in sports, e.g. pelvis,calf and hamstring, etc are a result of sudden additional stresses being placed on an unbalanced body. Does therapeutic Bodywork improve performance or recovery? Like many elite athletes consider sports body work an essential part of their training and recovery routine. Dogs that are showing or doing agility Fly ball and other sports are also athletes and owners report that a sports body work helps them work and train more effectively, improve performance, prevent injury, and recovery quickly. Historically, competitive and professional athletes have been some of the biggest users of sports massage. 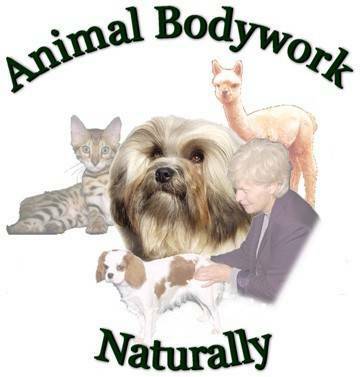 Today, a growing number of body work therapists offer therapeutic body work for animals and many recreational dog sports enjoy body work on a regular basis. What is Therapeutic Sports Bodywork? Therapeutic sports bodywork is a gentle technique that focuses on treating soft tissue aches, pain and injuries that are associated with most recreational activities. Bowen can reduce muscle stiffness and improve relaxation by reducing heart rate and blood pressure. Bodywork increases flow in lymphatic system. This renewed circulation, along with the improved circulation of blood, helps the dog’s body carry away waste products. This is a good thing, since Dogs’ muscles build up large amounts of different types of waste, such as lactic acid, during some events. When these small gentle movements, are used on the muscles and joints to make them more resilient, they help lengthen out shortened, tightened muscles and increase muscle stability. Muscle imbalances can be corrected for more harmonious movements that are less likely to result in further injury, and free movement. Exercise, understanding stretching and advice are an important part of treatment. Having experienced R.S.I. 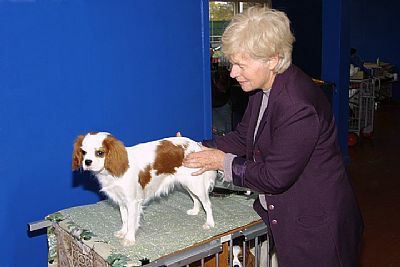 for some years, a simple injury caused by so many years previously of dog grooming. Pia had to change her business into a grooming school because she could no longer do a days work, she began to search for pain relief beyond that offered by conventional medicine. Bowen was the only relief found, and still to this day she has no problems with this problem, having tried massage and chiropractic no help, and after only a few sessions she could groom again. This started her on the path of exploring other therapies and their ability to provide lasting pain relief. It also made her appreciate that the relief gained through therapeutic bodywork should also be maintained by appropriate and regular exercise and relaxation. 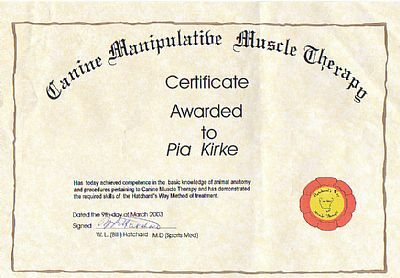 Pia was first introduced to the relaxing Bodywork technique by a chiropractor in Queensland who told her of the therapy he had heard of called Bowen Therapy. Pia was so enthused by the results I decided to learn this for myself. 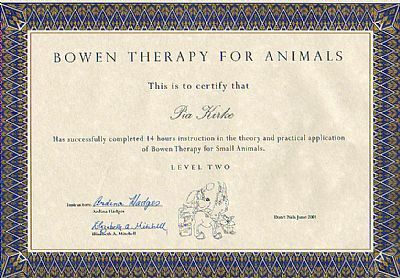 Later learning how to use it on animals, After all, Pia says animals cannot imagine that they are getting better - treatment either works or it doesn't!